For revolutionary socialists in the Canadian state today, this is our continuing story. It is the story of the application of a political method known as Marxism. The legacy of the Socialist Education League and the League for Socialist Action/Ligue Socialiste Ouvriere, as recounted in the two volumes, represents the framework and the guide to the present programme and practice of Socialist Action / Ligue pour l’Action socialiste. Ernie’s modesty leads him to describe his work as a memoir. It is that, but it is much more than that. It is rich in political lessons that apply to today’s circumstances and issues. In my view it is a kind of text book for revolutionary party building in general, but particularly in tough times. The present decade and the 1950s have that in common. It certainly helps that the writing is very accessible and unpretentious. The narrative is fast-paced, compelling, and yet it is a breezy account of world historic events and prominent personalities. I wish to show the practical utility of the book to today’s political challenges and choices. So, let’s begin at the beginning. Ernie wouldn’t have met the Trotskyists, the anti-Stalinist revolutionary socialists in Toronto, when he did, or perhaps at all, if he had not stumbled upon The Toronto Labour Bookstore on Yonge Street, just north of Wellesley. That’s where curiosity encountered revolutionary political leadership. Ross Dowson, the store manager, had been the socialist candidate for mayor who won tens of thousands of votes in the 1940s. It’s a good thing that the socialists had a bookstore, to nurture critical thinking, to attract new supporters, and to organize their ranks. Of course, that required organization. It was called The Club. The bland name was a concession to anti-communist hysteria, which was fanned by the mass media. Meetings of The Club, the tiny Trotskyist party, took place in the store basement. Once he was invited to attend, Ernie noticed the business-like conduct of party membership meetings, the routine collection of dues, and the serious attention paid to internal education, offering new members an opportunity to learn how to speak in public. Public forums were held elsewhere, on a regular basis, usually in a union hall – even if the seating exceeded the need. Forums featured speakers like Helen Sobell (wife of Morton Sobell of the famous Rosenberg case). 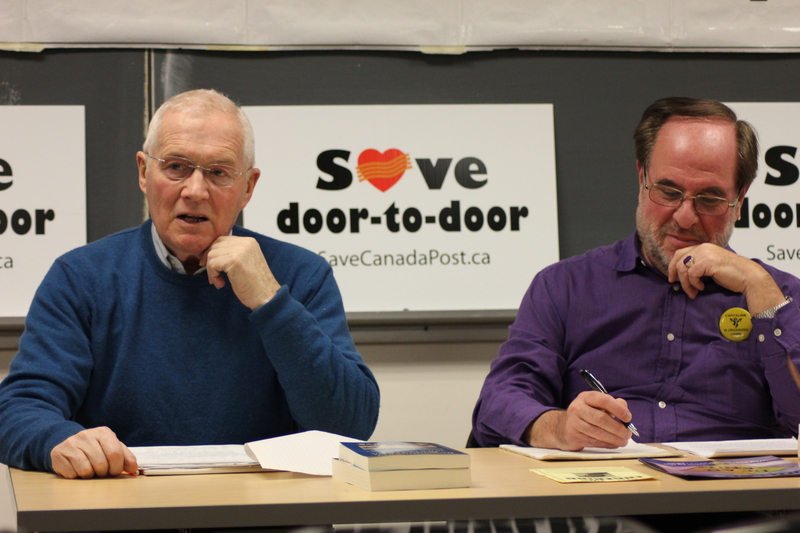 The forum promoted the Sobell Defense Committee, with the involvement of some members of the Labour Progressive Party, the name adopted by the Communist Party of Canada after it was made illegal under the War Measures Act. Such features of an effort to build a public and professional presence for a small revolutionary party should not be taken for granted. There are many groups on the left, then and now, that fall short on some or all of these grounds. In the case of Socialist Action, I leave it to you to decide whether our weekly Rebel Films series, held each Spring and Fall, our public forums, our educational conferences, our annual May Day Celebration, our concerts and study groups rise to this standard. Years ago SA had a public bookroom and meeting hall, and we will again – just as soon as we can afford the rent, that is, when you all join us. But our approach to film and forum events is like that of our predecessors – to invite guest speakers from outside our ranks, like from the Haiti Action Committee, the Black Students’ Association, the aboriginal community, Science for Peace, Students Against Israeli Apartheid, or Put Food in the Budget. In the 1950s, world nuclear annihilation seemed imminent. Tensions ran very high. The conflict between the imperialist powers and the Stalinist-led workers’ states was not only pervasive. It seemed destined to be permanent. That reality had a huge impact on working class politics. On the one hand, the repressive anti-communist atmosphere in the west caused some socialist tendencies to make concessions to imperialism. They embraced ‘3rd camp’ politics, supported by the theory of state capitalism. That theory taught neutrality in the conflict between Washington and Moscow, between Washington and Vietnam, and between Washington and Cuba. In other words, it condoned hostility, or at least indifference to the colonial revolution and the defense of the gains of the October Revolution. On the other hand, the cold war led some socialist groups to adapt to Stalinism. It led them to become apologists for the ruling bureaucracies in Moscow, or Beijing, or Hanoi. Inside the Fourth International, a number of national sections decided to ‘enter’ the Communist Party in their own countries, or in some cases, to ‘enter’ the Socialist Party. The specific form of ‘entry’, entryism sui generis, meant dissolving the public face of the organization. It meant going underground – for the long term. It was not at all like doing some work in those parties, while continuing to be openly active outside of them. Some Trotskyist leaders predicted “centuries of deformed workers’ states”. They saw the CPs as the place to be, for the long run, in order to defend those states and the working class against imperialism. It took 10-20 years to break F.I. sections from this extreme tactic. Meanwhile, differences over concessions to Stalinism, and differences over the authority of the F.I. leadership to dictate tactics to national sections, what American Trotskyist leader James P. Cannon decried as “Cominternism”, caused a split in the F.I. It lasted from 1953-1964. The Cuban socialist revolution did much to heal the split. Cuba demonstrated that the colonial revolution could smash the imperialist stranglehold by going socialist, by bringing the workers and farmers to power, and defying the two-stage reformist schema dictated by Moscow to its satellite parties. Ernie and his comrades were at the forefront of explaining the key concept underlying the liberation of Cuba, namely Leon Trotsky’s Strategy of Permanent Revolution. Although it is mentioned only in passing in the book, Permanent Revolution today retains its central importance. The LSA and the FI heralded the new rise of world revolution and seized the opportunity to advance party building. I propose to look at four ways the LSA did that, and how Socialist Action is doing it today. I will refer to: 1. the United Front, 2. the Labour movement, 3. the labour-based New Democratic Party, and 4. Internationalism. The book reports the fight against racial discrimination at the Palais Royale, on Lakeshore Blvd. in Toronto. It refers to solidarity with the restaurant sit-ins in the U.S. and Canada, and with the Black voter registration campaign led by the Freedom Riders in the Deep South. Ernie describes the Ban the Bomb campaign, and the early days of the Vietnam anti-war movement in North America and Europe. Valuable lessons on how to formulate popular but principled demands, how to deal with publicity, fund raising and security matters, are outlined clearly and concisely. Ernie’s description of the International War Crimes Tribunal, and how he worked with towering figures like Bertrand Russell and Isaac Deutscher, show us the importance of ‘thinking big’ and collaborating with diverse personalities in a non-sectarian way. All of these campaigns, and many more, succeeded because they brought together people of different views who could agree on one issue, like opposition to a war. They also agreed to the principle of non-exclusion. That meant that the campaign was open to all groups and individuals, and that participating groups would enjoy equal rights to speak at the major events of the campaign. The Trotskyists advocated legal, peaceful mass action. They didn’t discourage letter writing and the lobbying of bourgeois politicians. But they actively promoted proletarian methods of struggle: demonstrations, sit-ins, teach-ins, mass picketing, strikes, and so on. The aim was to encourage broad participation and to empower the participants to create a movement capable of winning a majority, and then able to win its demands. And they were very successful – in tearing down overt forms of racial discrimination, helping to end the war in Vietnam, winning the right of women to choose abortion, putting gay liberation on the political agenda, and targetting industrial polluters. We in Socialist Action try to follow their example. In the past year alone we did many things along that line. We worked closely with democratic forces in the Toronto LGBT community to organize a street protest against Putin’s anti-gay laws on the opening day of the Winter Olympics in Sochi. SA initiated a united front to defend postal services in this country. We convened a wide array of unions and community groups, first to a rally in this building in February, then to a picket of about 80 folks in March, and then to a mass rally of close to 400 on September 20 outside the office of Tory Finance Minister Joe Oliver. Our demands, to maintain home mail delivery, and to oppose increases in the cost of postage, were heard all across the country, thanks to extensive media coverage and major union endorsements. SA, as part of the Toronto Coalition Against the War and the Canadian Peace Alliance, demonstrated against Obama’s drone wars. We marched against the Zionist siege of Gaza. We led an occupation of the office of Toronto Danforth NDP MP Craig Scott to demand NDP unconditional support for Palestinians and their right to self-determination. And we distributed information with Haiti solidarity activists at Dundas Square to call for an end to the foreign military occupation of Haiti, ten years on. SA pushed the anti-war coalition to hold a rally to protest Ottawa’s decision to join the U.S. bombing of Iraq and Syria. We marched with a very wide range of groups on May Day, and on World Pride Day to advance the cause of freedom. And we didn’t just march on those occasions, with our banners and placards, selling our press and distributing leaflets. We promoted and built those actions, for weeks, in all our fields of activity. Like our political predecessors, we are strong proponents of the United Front. In fact, a session of this conference is dedicated to explaining that concept, so stay tuned for the presentation on Saturday afternoon by Adam Shils. As you know, the labour movement is beset by many problems that impede the efforts of working people to defend our past gains, much less to build a just society. The question is: how can we work to remove the obstacles to progress? Of course, campaigns of solidarity with postal workers and other workers fighting to defend their jobs are important. Being part of the $14 an hour minimum wage campaign is important too. But that is not enough. Decades of labour concessions and miseducation of the ranks by the proponents of business unionism have entrenched bureaucratic roadblocks to change and fostered worker passivity. Radical initiatives from below, self-organization of the ranks, from the bottom-up, is necessary. This is precisely what militants of the SEL and the LSA did. As Ernie recounts, they fought repression in the unions. They campaigned against SEL leader Paddy Stanton’s exclusion from the Ironworkers’ union. They proposed class struggle policies. They fought for significant improvements in wages and conditions of work, and for union members’ right to set bargaining demands and to vote on tentative agreements. They launched the ‘Forward With Democracy’ caucus in the Teamsters union. They pushed the fight for the 44-hour week. They built the ‘No Reprisals Defense Fund’. They ran candidates in union elections on a class struggle platform. So, what do SA militants in the unions do today? We try to organize the unorganized. Tyler Mackinnon can tell you about his efforts in the retail store sector. Julius Arscott can tell you about our active opposition to bad negotiated deals in OPSEU, and our role in the rank and file campaign to get OPSEU back into the Ontario Federation of Labour. Elizabeth Byce can tell you about efforts to keep CUPW from backsliding away from militancy and democracy. 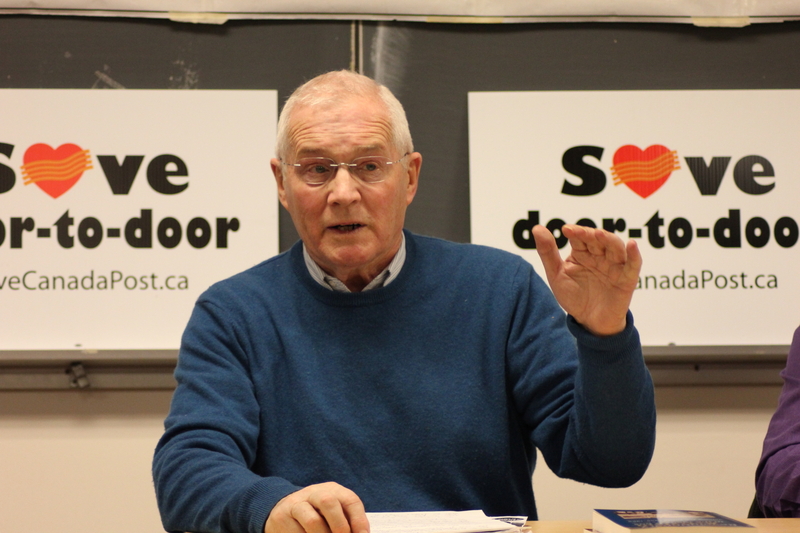 And I can tell you about an ongoing fight against the sell-out of substitute teachers’ job security and against horrendously undemocratic practices, including bureaucratic exclusion by the OSSTF top brass. I lead a rank and file caucus which is presently running candidates for office in my bargaining unit. But that’s not enough. The problems we face are not confined to one union or to one part of the workers’ movement. The solution must be found on a cross-union, cross-country basis. For that reason, SA advances the idea of building a class struggle left wing across the entire labour movement. With that idea in mind, we supported the Take Back the CLC movement associated with the campaign for CLC President waged by Unifor militant Hassan Husseini. With that purpose in hand, we went to the People’s Social Forum in Ottawa, and successfully fought for that perspective at a Labour Activists’ Assembly that took place on August 23. SA militants are four of 19 volunteers on a national steering committee to activate a cross-union militant labour caucus. This brings us to the issue of independent working class political action. The first task for class conscious workers is to break the majority of workers from supporting the bosses’ parties. That entails building a political party based on the union movement, a party within which socialists fight for a Workers’ Agenda of democratic, defensive and transitional demands. The only mass party in North America that is based on the unions is the NDP, in English Canada. That meant opposing the LPP’s line for ‘anti-monopoly coalitions’, that is, giving backhanded support to the Liberal Party. SEL comrades got the United Electrical Workers’ Union, then led by Stalinists, to support the CCF instead of ‘progressive’ Liberals. Of course, the bureaucrats who dominate the NDP today, who are virtually the same officials who dominate the unions, wish to impede the socialists, even to exclude us if conditions permit. The leaders of the CCF, the NDP’s predecessor party, expelled Trotskyists in the 1950s. The NDP brass did the same in the 60s. But that did not alter the orientation of the SEL or of the LSA to the labour party. They continued to built activist groupings. They launched a Left Caucus, then a Socialist Caucus. They fought successfully to win support for public ownership of the resource sector, for the extension of public health care, for NDP opposition to the war in Vietnam, and to end Canada’s involvement in NATO. The Trotskyists urged the CCF and the NDP to compete in city elections, to quash the myth that city elections are non-class and non-partisan affairs. And when Labour and its party did not contest city elections, the Trotskyists did so whenever they could. You can readily see how closely Socialist Action patterns its activity on that of the SEL and the LSA. We founded and play a leading role in the NDP Socialist Caucus. The SC has much to show for its work. Together with many allies, it won the NDP to a ‘Canada Out of Afghanistan’ policy. It defended the reference to socialism in the NDP constitution, and pushed many party policies to the left. It is the most conistent force for democracy in the party. A good example of what socialists can do in the NDP was on display at the Ontario NDP convention last weekend. 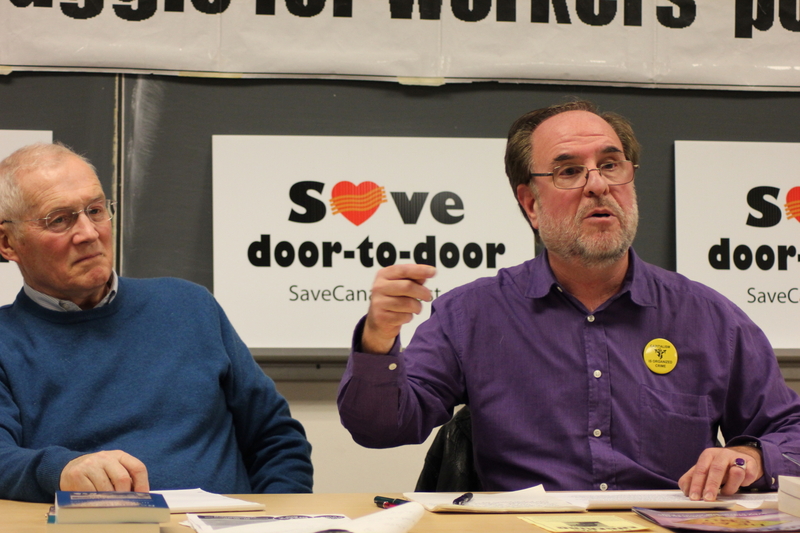 The Socialist Caucus ran or supported over a dozen candidates for executive posts. They garnered from 20 to 44 per cent of the votes cast. For General Members-At-Large, Tyler Mackinnon received 44 per cent. For Vice-President slots, Elizabeth Byce got 28 per cent; Julius Arscott 25 per cent; and I got 20 per cent. Independent candidate for an At-Large spot, Michael Erickson, broke the strangehold of the official slate by winning a seat. Debates on convention procedures and resolutions produced a number of upsets. In the opening minutes of the convention, delegates voted to amend the agenda, forcing the vote on Leader to occur late Saturday afternoon, rather than immediately following the Leader’s rah-rah speech set for the morning. This meant that hundreds of delegates summoned by conservative riding and union leaders to vote to sustain Horwath had to hang around an extra seven hours. As it happened, between Friday and Saturday, convention attendance jumped from 527 to over 1,000. By Sunday morning it had dropped below 800. Motions of referral, with instructions to integrate tougher language into otherwise pablum-like resolutions from the official vetting committee, succeeded in a number of cases. This radicalized the policy on Social Assistance, Post-Secondary tuition, the bitumen pipeline known as Line 9, the Ontario Municipal Board, and nearly did so on Minimum Wage. The rebellious feeling led over 30 per cent to vote against acceptance of the Provincial Secretary’s Report. That report was identified with the failed June election campaign. By far the biggest upset to the establishment was the victory for Free Post-Secondary Education, Abolish Student Debt — a long standing Socialist Caucus cause celebre, fought for relentlessly by SC activists, led by Tyler Mackinnon. 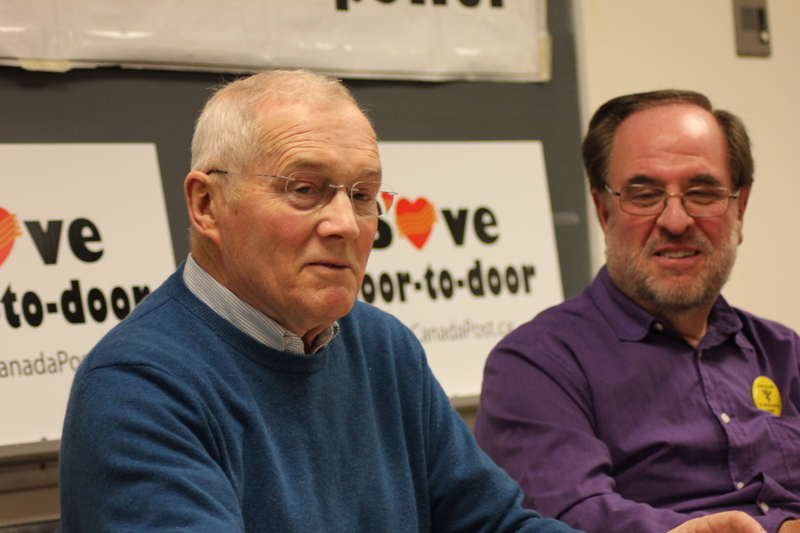 The Socialist Caucus played a very prominent role at the ONDP convention, cosolidating about 25 per cent support on a range of issues and initiatives, and winning policy battles. Mass media coverage (Toronto Star, Globe and Mail, CTV and CBC) frequently quoted SC spokespersons. No other tendency on the left came close to matching this standard of performance. Delegates and observers snapped up nearly one thousand copies of the SC magazine Turn Left, and donated $130 on top of the thousands of dollars collected prior to the convention to cover the cost of production. Volunteers staffed an SC literature display table throughout the convention. Let’s turn to the recent Toronto municipal election. We did not back the so-called ‘progressive’ liberal-minded, multi-class slate, headed by Olivia Chow. We fought for a Labour/NDP City Hall political perspective. For the first time SA presented a candidate at a general election. SA youth activist Evan Engering ran for school board in Mississauga and won over 1,300 votes. As we learned from the revolutionary activists of the 1950s and 60s, electoral campaigns in the framework of seeking working class unity and independence from the bosses’ parties can help to put socialists on the political map. 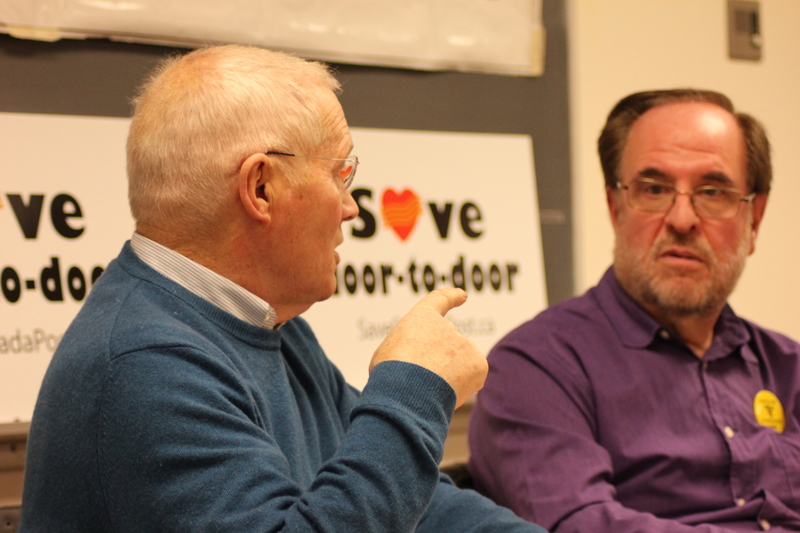 Our predecessors taught us that city election campaigns can be a good educational tool. It helped them to elaborate their ideas. It helped them to recruit artists, like poet Joe Rosenblatt. Involvement in electoral politics flowed from a common class-based relationship to the CCF and the NDP, and from a commitment to be well grounded in the issues that matter to millions of our fellow workers. Finally, I want to discuss international revolutionary party building. Capitalism is global, and so must be the efforts of the working class to resist and overcome the capitalist system of exploitation and oppression. Workers need an international party to inform, coordinate and advance our efforts to create a cooperative commonwealth on a world scale. In the wake of the dissolution of the First International, the capitulation of the Second International to imperialist war, and destruction of the Third International by Stalinism, Canadian socialist workers helped to found the Fourth International in 1938. The predecessors of SA worked to build the F.I. in the 1950s, 60s and 70s. That included participating in important debates, sometimes aligned in tendencies and factions. It also meant working closely with American comrades, with the U.S. Socialist Workers’ Party, prior to its break with Trotskyism in the 1980s. In 1955 the Socialist Education League got skills-training help from the SWP in making the transition from Labour Challenge to the Workers’ Vanguard newspaper. SEL and LSA leaders attended the SWP cadre school in up-state New York from time to time. Socialist Action Canada today works closely with SA-USA, the inheritors of the best traditions of the SWP. We write for and sell the same monthly newspaper. We speak at each others’ educational conferences and conventions. Our groups aid each other in recruitment, and participate, when possible, in common campaigns, such as in opposition to the wars of imperialist intervention, in seeking freedom for the Cuban Five, and in the climate justice movement. Trotskyists north and south of the border rose to the defense of the Cuban Revolution in 1959, and we continue to do that work. Although we are collaborating with a revolutionary leadership headed by Fidel and Raul Castro in Havana, it does not mean that there will not be bumps along the road. The book describes the challenges posed by the contradictions in the Cuban Communist Party in the early 1960s. Elements of the former Stalinist party in Cuba, the Popular Socialist Party, actively sabotaged solidarity tours and pro-Cuba campaigns led by the LSA. Keep in mind that the Cuban Stalinists described the July 26 Movement, led by Fidel and Che, as a terrorist organization prior to the triumph of the revolution. Nonetheless, the LSA and the broad coalition Fair Play for Cuba Committee, worked through those problems, undaunted. Today, Socialist Action, which engages in solidarity with Cuba year-round, is being blocked from membership in the Canadian Network on Cuba, a coalition dominated by the CPC. But due to our good record on Cuba solidarity, we have strong allies in the CNC, including the CUPW, and the issue of exclusion will be addressed within the CNC at its next conference. Even our relationship to the Fourth International is complicated by the veto of a group in Quebec, which is the last remnant of the official Canadian section of the FI. Said group is virtually inactive, having dissolved into Quebec Solidaire. Its former partners in English Canada dissolved into the New Socialist Group, which dissolved into the Socialist Project, which is dissolving into Greater Toronto Workers’ Assembly. Meanwhile, SA Canada is alive and well. We participated in the last two FI Youth Camps, and we are kept fully informed of debates in the FI by SA-USA. I mentioned earlier that the FI experienced sharp debates in the 1950s and 60s over how to relate to Stalinist parties. In the 1960s and 70s the debates centred on the merits of urban and rural guerrilla warfare, with tragic results for our party in Argentina, reminiscent of the tragedy that befell Che Guevara in Bolivia. Today there are sharp disagreements over revolutionary party building, that is, over the Leninist concept of organization. There is precedent for this kind of dispute, which underscores another benefit of the book. In the 1960s, Ken Coates, a leader of the Labour Party left wing and a member of the F.I. group in Britain, the IMG, saw it more as a vehicle for building a ‘broad left’ current in the Labour Party, rather than to pursue the work in the Labour Party primarily to build a revolutionary party outside of it. The latter is the approach of SA-Canada, to build an open and independent revolutionary party, and it was the approach of Ernie and his comrades in Britain in the late 60s. The corollary of this debate is occuring today in the F.I. It is about the merits of creating and building so-called broad left, amorphous, anti-capitalist parties in Europe. These include the Nouveau Parti Anti-capitaliste in France, and similar formations in Denmark, Italy and Portugal. Sadly, elected officials of those broad left parties have voted for war expenditures and capitalist austerity budgets. In the process, they have alienated their radical working class base, and show signs of disintegration. SA-Canada and SA-USA are in direct contact with a current in the French NPA which opposes that course. It is called Action et Revolution. It encompasses hundreds of young workers, including regional leaders of militant postal workers. One of them, comrade Xavier, will be speaking at Socialism 2015 in Toronto next May. So, perhaps now you can see why I’m such a big fan of the book. I like the insights and lessons it offers. I consider that SA stands in revolutionary continuity with the SEL and the LSA, and furthermore, that it is a continuity worth preserving and extending into the future. Did they made mistakes? Yes. Have we made mistakes? Yes. The only folks who make no mistakes are the ones who do nothing. The book isn’t perfect. It has little to say about the national question. It contains a few minor errors of chronology and typing. But for the most part, the book faithfully presents a method of politics that has proven it can change the world for the better. For that reason I encourage everyone to buy and to read the two volumes. Do it not just because it’s a good story well told, a history that you will not find anywhere else, but primarily because you want to change the world today. We stand on the shoulders of the great women and men who toiled selflessly to advance the interests of the working class, to build the revolutionary party indispensable to the survival of civilization and life on Earth. Ernie and Jess, we are indebted to you for the wonderful work you’ve done. I say to all who are part of this discussion: if you agree with this summary, if you agree with the message of this great book, you should join Socialist Action. Together we will make a better world, and better sooner than later. Previous PostHollow victory for Ontario NDP Leader HorwathNext PostWhy so much ado about ‘The Interview’?